Back in December, we wrote here about a proposed rule from the U.S. Department of Labor that would mandate that postdocs earning less than $50,440 per year would be eligible for overtime pay at 1.5 times their hourly rate. 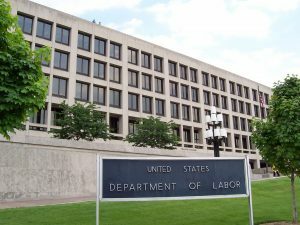 This week, the Department of Labor released its revisions to the Fair Labor Standards Act. The changes will take effect December 1, 2016. Here, we summarize what this means for research labs, institutions, and the estimated 37,000-40,000 researchers affected by these changes. Salaried workers who are not exempt and who earn less than $47,476 per year are eligible for overtime when they work more than 40 hours in a week. Postdocs are not exempt and are therefore subject to the changes in the rule. The salary threshold overtime eligibility will rise every three years to keep up with inflation. Not all postdocs will be eligible for overtime. The new overtime rule only applies to postdocs who are full-time researchers and do not participate in teaching and training activities as a part of their position. This largely excludes postdocs in the humanities, who regularly teach courses during their postdoctoral studies, and thus would not receive any change in their pay. As for the sciences, this loophole could lead to some post-docs being re-classified with titles that suggest they are lecturers or instructors, thereby making them exempt from the overtime rule. It’s unclear whether the hands-on training that postdocs provide to graduate and undergraduate students in research labs will be sufficient for exemption based on the teaching exception. This will likely be decided at the institutional level. No doubt a function of the soon-to-change White House administration, the Department of Labor will implement the rule sooner rather than later. Despite calls from organizations like the American Association of Medical Colleges and American Society for Biochemistry and Molecular Biology for a phased-in approach, the rule will be fully implemented on December 1, 2016. In a fact sheet directed toward institutions of higher education, the Department of Labor outlined three options for universities to become compliant with the rule: raise the salary of non-exempt postdocs above the new threshold, pay postdocs overtime for hours worked beyond the standard 40 hour work week, or evaluate workloads to reduce the need for overtime. The nature of scientific research is such that the last option is not a realistic one where postdocs are concerned. Whether institutions decide to give postdocs a raise or pay overtime, the looming question remains: Where is the extra money going to come from? Funding agencies could increase award amounts to reflect the new exemption threshold; however, budget negotiations for fiscal year 2017 have largely held funding for the National Institutes of Health and National Science Foundation flat for investigator-initiated research, making this an unlikely option in the next year. Without more funding to offset these costs, Principal Investigators (PIs) will need to fund these raises or hours of overtime based on budgets calculated prior to the new threshold announcement. This means that for at least the first year, some PIs will be forced to reduce the size of their research groups, taking on fewer graduate students or dropping existing postdocs. Although Collins and Perez pledge to “work closely with leaders in the postdoc and research communities to find creative solutions to ensure a smooth transition,” with major changes in such little time, we can expect a few bumps along the road. What are your thoughts on the new overtime rule? Please share in the comment section below. As the grants for years have been adjusted accordingly, there never was and never will be a problem to pay for postdoc salaries. There is no easy way tackle the use of postdocs as endentured servants. Through our matriculation through the work that someone does feel like carrying out is put on someone else. Graduate students do it to undergrads and PI’s do it to postdocs. I’ve seen postdocs forced to sit and work on a project that is the previous undergraduate did not complete. It was half a year of putting in unpaid overtime for the undergrad, who now in a phd program, to get “their” first author on the paper. Postdocs should not be forced to take on responsibilities that prevent them from doing the job they are paid to do in a timely manner.